Categories: 1,5 kV, 2 channels, 600 VAC/DC, Active, Standard, Isolators, No, Isolation Transmitters. DA562 is specially designed for signal isolation and load amplification in the process industry. Two independent and galvanically isolated channels allow for high-density mounting. 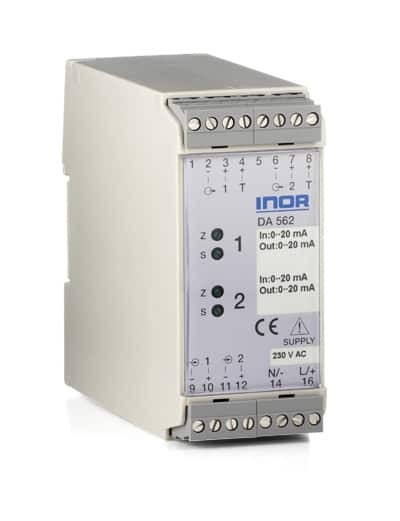 DA562 maintains a high isolation level (1,5 kV) between input, output and the two channels. Current and voltage can be chosen independently as input and output signals.